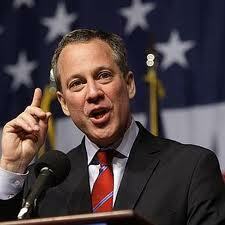 Eric Schneiderman Is My Hero! As mentioned in a previous post back in March, for months now the Attorneys General of all 50 states of the union have together been suing the big banks over violations of real estate law. Banks transferred their mortgages repeatedly in order to create the infamous mortgage-backed-securities [MSB] filled with non-performing loans and sold all over the world. But, the banks never paid the taxes and fees due on the transfers and so have opened themselves up to lawsuit from every state. We all know how strapped the states are for cash, so it’s no surprise that the Attorneys General would make every effort to collect. In the meantime, though, the Obama Administration has also gotten involved and, as per usual, the Big Banks have been frantically lobbying to limit their liability-drastically limit their liability. In fact, a number like $20 billion has been bandied about, leaked to the press, while yet the banks object vociferously to this number which, large though it is, is paltry in comparison to the hundreds of billions, not to mention trillions, they raked in during the “bubble” years when they were making these horrible loans to almost anyone with a pulse. Considering, too, that the final settlement amount must be shared among 50 states, that $20 billion is really small potatoes. 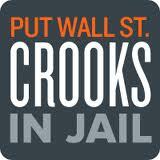 The banks’ behavior, though, is far more troubling than merely limiting the dollar amounts they must pay the states. No, you see the banks want to limit their total liability to all those who lost their homes, legally or illegally. As mentioned in a previous post, foreclosure fraud via cooked-up loan documents is still going on, as was recently discovered. This plan would also limit banks’ liability to those investors, both at home and abroad, who bought the toxic investments which the banks knew were substantially worthless as they off-loaded them to the unsuspecting. The dive the pension funds took? Not their responsibility, either. Helping the banks contain this damage into one neat little package and, as Matt Taibbi of RollingStone has it, shooting it off into deep space, are many of the AGs and the Obama Administration. It seems it would serve government’s goals as well if this whole thing would just go away. Put into a neat, little [and cheap for the banks] package and allow the banks to then go their merry way. 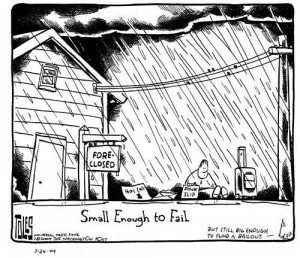 Never mind the millions of former homeowners who lost their homes, whose lives were ruined, whose livelihoods were destroyed by the easy money provided by the banks which fueled the bubble and made them billions of dollars. Schneiderman is seriously compromising the Big Banks’, other Attorneys’ General and the Obama Administration’s efforts to shovel this huge pile of doo-doo under the rug of a tiny settlement. He is under tremendous pressure to cave and has been summarily kicked off the negotiating team. Banks are spouting a revisionist line: their crime is faulty paperwork, not massive corruption and fraud which, for those of us who can remember what life was like 5 years ago, a dwindling group, it appears, was their real crime. Banks knew their loans were bad. That is why they “sliced and diced” them and stuffed them into MBSs in the first place. They behaved with no regard for the effect on others; they operated solely for their own benefit. And, benefit they did, let us remember, to the tune of billions of dollars. And, when their crimes started to catch up to them, they cried “Bailout” to the federal government and the very same evil-doers got billions in tax-payers money. Why is Eric Schneiderman the only one who remembers this? Why is he the only one who understands that he is the defender of the millions of helpless homeowners who lost their homes, often illegally, after they had already been victimized with fraudulent loans and offered no loan mods or trifling mods by these very same banks? Eric Schneiderman is my hero. I truly hope he can hold out against the combined pressure of the Obama Administration and most of the other AGs. Please, Eric, hold fast. This entry was posted in Eric Schneiderman, loan modifications, mortgage crisis and tagged bank fraud, bank lawsuits, Eric Schneiderman, Eric Schneiderman is my hero, foreclosure, loan mods, mortgage scams, Obama. Bookmark the permalink.